New breakout space plus prefunction areas with ample natural light are on the way. On November 26, the city council of Charlotte, N.C.. unanimously approved a $110 million expansion of the Charlotte Convention Center that will add a significant amount of dedicated meeting space plus new prefunction areas, making the center able to accommodate a greater number of citywide events as well as multiple breakout-heavy groups at the same time. A renovation of the center's existing space has been happening in stages since 2015; the facility opened in 1995. 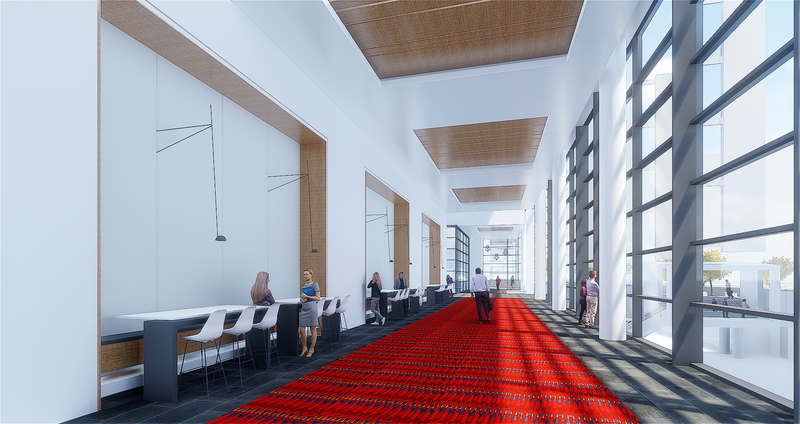 The new project will add more than 27,500 square feet of meeting space, bringing the total to 154,000 square feet. Fifteen of the new meeting rooms will feature movable walls, such that two of the spaces will be able to become 10,000 square feet each. Also, the 35,000-square-foot Richardson Ballroom will become divisible by four. With the prefunction space, the addition of 26,000 square feet will bring the facility's total to 116,625 square feet. The new gathering areas will feature large windows facing the Stonewall Street district where much new commercial and residential development has taken place. A pedestrian bridge across Stonewall Street will connect the center to that retail development, called Novel, as well as the 700-room Westin Charlotte Hotel and the Blue Line light-rail station. The new project will not affect the facility's 280,000 square feet of exhibition space. Construction is set to begin in early 2019 and will be funded by the city’s hotel tax. Completion is expected sometime in late 2020, which means that at least some of the new space will not be ready for the Republican National Convention taking place from August 24-27 of that year. Plans for an expansion of the ballroom terrace and a new event space above the light rail were dropped due to cost, according to CRVA spokeswoman Laura White. The Charlotte Convention Center hosted 47 non-local events in fiscal year 2018, and generated a total of $19.2 million in direct revenue.